In today’s constantly evolving world making fast business decisions is crucial for any company to flourish. This is especially relevant for the ecommerce field. Since online shopping has become as popular as never before, the amount of data ecommerce owners have to handle is growing exponentially. Be it order details, personal customer information or sales volume – any information should be accurately processed and analyzed to bring the most value to its owner. With structured information at their fingertips, online retailers get to know their customers and products better. Besides, they can clearly see what works on their website and what is not. Therefore, they get a solid basis for developing an effective and successful business development strategy. And here is where ecommerce metrics and reporting come to play. Accurately defined and tracked, they allow spotting existing trends and patterns, uncovering areas for improvement and new business opportunities. Luckily, there are multiple tools available on the market that can help you track and manage necessary metrics and create comprehensive reports. 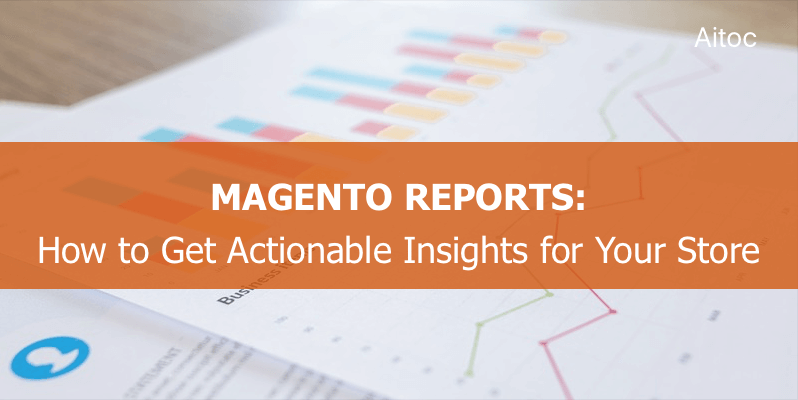 In this post, we will guide through the capabilities provided by Magento Smart Reports – an effective solution to take care of sales reporting in a Magento-driven store. What is Magento Smart Reports? Smart Reports is a useful tool that provides an opportunity to visualize critical sales information in Magento via beautiful graphs and charts and generate comprehensive reports. Gathering and processing the incoming data, the extension allows creating either one-time or scheduled reports. These reports can be easily exported or shared so that decision-makers can leverage them in their marketing endeavors. The module provides all the functionality required to support the reporting process, including ready-made report templates, custom report generation, and advanced administration. Let’s go through them in detail. Looking for a report tailored exactly to your business needs? The solution allows creating custom report templates based on pre-selected data. You can choose information on orders, invoices, shipments, etc. and include it into the report, as well as specify the time period you’re interested in. The extension will generate a completely custom report instantly. By the way, Magento Smart Reports automatically updates the dates every time you start working on a report. With the extension installed, Magento admins can create recurring reports via Cron. Apart from that, they are able to manage the reports history, for instance, download or delete any report. Any report generated by the extension can be sent to an email or uploaded via FTP. Informative and actionable sales data is a goldmine for any merchant. By leveraging proven analytics tools, online stores get the ability to take the most out of the information they possess. They can see how their products are performing in real-time and get valuable insights into customers’ behavior. 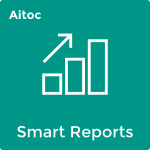 Thanks to Magento Smart Reports from Aitoc, you can convert disparate data into comprehensive reports that feature smart data visualizations. As a result, you will be able to make better business decisions on a daily basis and so lead your ecommerce company to the desired success. Magento Pricing: How Much Does It Cost to Run a Magento Store?